TTi’s Silage Applicator’s Offer 20 Year Tank Warranty, Australian Made! 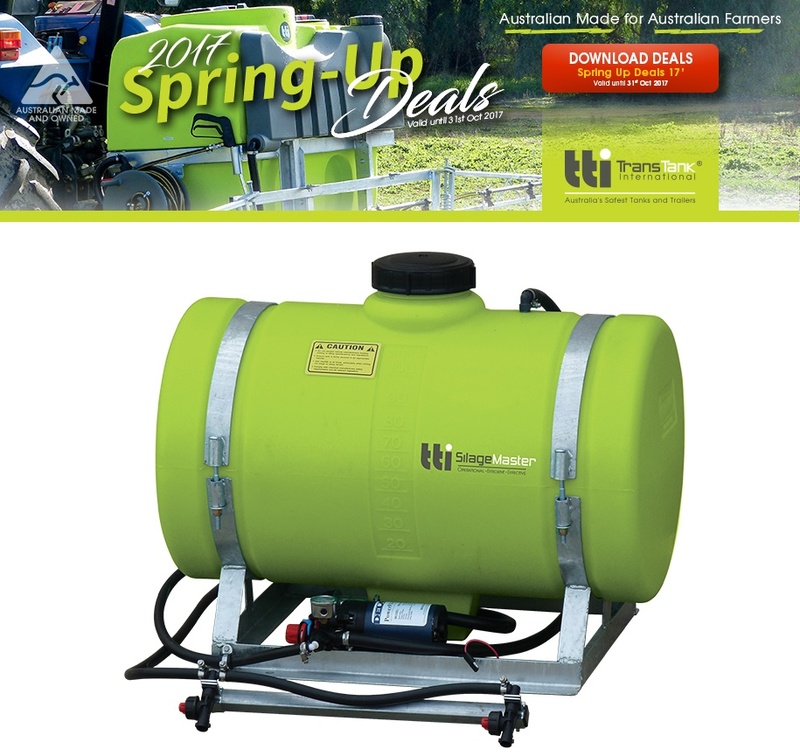 The elite inoculant applicator is available through TTi’s Spring-Up Deals ’17, valid until October 31, 2017! TTi’s SilageMaster available at in 100L or 200L units feature a 12 volt 7.5 L/min 60 psi Pump,easy adjustable pressure regulator and gauge. The UV stabilised chemical resistant poly tank is built for longevity, with a 20 Year Warranty, and a galvanised steel frame able to resist rusting. A double nozzle boom, complete with non-drip nozzles covers 1m swath. The boom is recommended to be used with regulator fitted for pressure adjustment. Built to withstand Australian conditions! Visit www.tti.com.au to see the many options available or call 1800 816 277 for more information.